Love.golf has successfully introduced hundreds of women the joys of golf, with a high number going on to take up the game and inject valuable finances into the clubs, reports Alistair Spink, pictured with Carin Koch. A new partnership between the PGAs of Europe and love.golf - the pioneering group coaching programme for women supported by Syngenta - is set to develop coach education and make a positive impact to female golf participation. The PGAs of Europe is the collective body of 35 National associations, representing over 21,000 golf professionals and coaches. Now recognised as a PGAs of Europe Golf Development Partner, love.golf will be one of the Association’s preferred female coaching initiatives to promote to its network of PGAs (Professional Golfers' Association) and PGA Professionals in Europe and around the world. With the unprecedented retention rates of love.golf - which average 80% of women progressing to further caoching and playing - combined with access to shared learning through its community of coaches, the move aims to make a long-term impact to the growth of female participation. Ian Randell (below, left), Chief Executive of the PGAs of Europe, said: “This year has seen a drive to put female golf into the spotlight, which we wholeheartedly support. 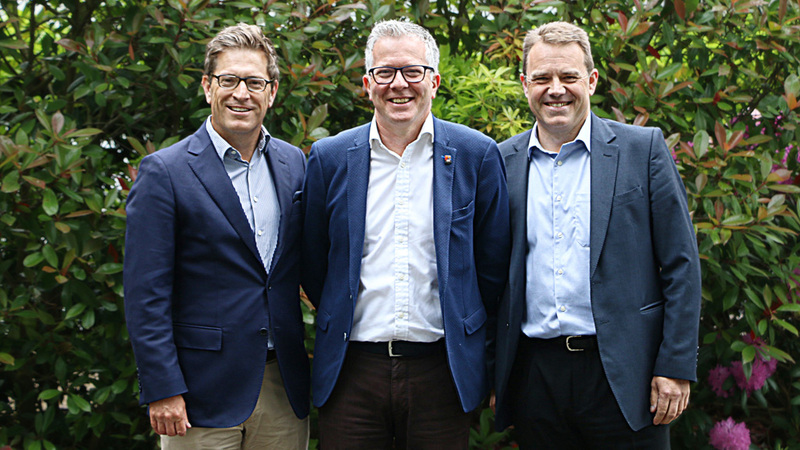 Alastair Spink, founder and Head Coach of love.golf, (below centre, pictured with Simon Elsworth, Syngenta EAME Head of Turf & Landscape), commented: “We have made significant progress in our mission to increase female participation across the UK, where we continue to work with new and existing coaches. The innovative love.golf programme has gained wide recognition for successfully challenging traditional perceptions and rewriting the standard model of women’s coaching. With methods based upon industry-leading research by Syngenta and academic study by Alastair Spink, the programme is characterised by its alternative approach that gets women out on the golf course at an early stage. 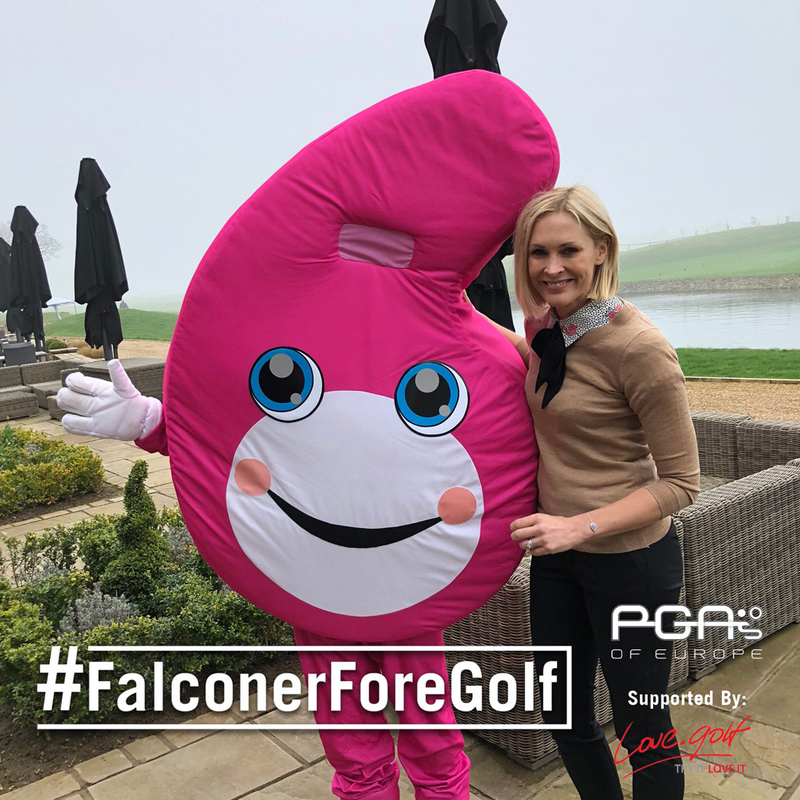 The relationship between love.golf and the PGAs of Europe began early this year with the introduction of TV and radio presenter, Jenni Falconer, to the game. The goal - to document the feelings and emotions that women who are completely new to golf may be experiencing, and to share that through a variety of social and video content, as part of the #FalconerForeGolf campaign.